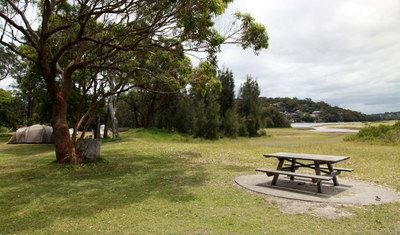 Bonnie Vale Campground is in the Royal National Park between Bundeena and Mainbar. There are a small number of campsites along the beach and the bush. None of the sites are powered and he amenities include toilets, hot showers, washing sinks and drinking water. 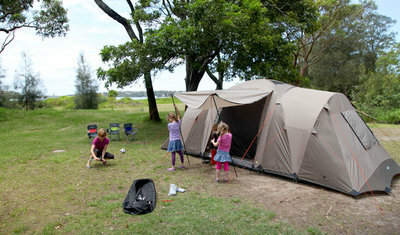 This is a basic campground however, it is a perfect introduction for kids to camping. You can take a tinnie boat or an inflatable and take the kids for a boat ride in the very still water. There is no actual boat ramp at Bonnie Vale for a speed boat. Sit out on the 'balcony' of your tent with the kids and the birds and enjoy a delicious camp breakfast on your camp bbq. Bacon and eggs 'a la' Bundeena'. Cost: Adults from $14 per night, Children from $7 per night.